You are here: Home / Society / Cruel Government Obstructs Benefits For Its Disabled & Poor. 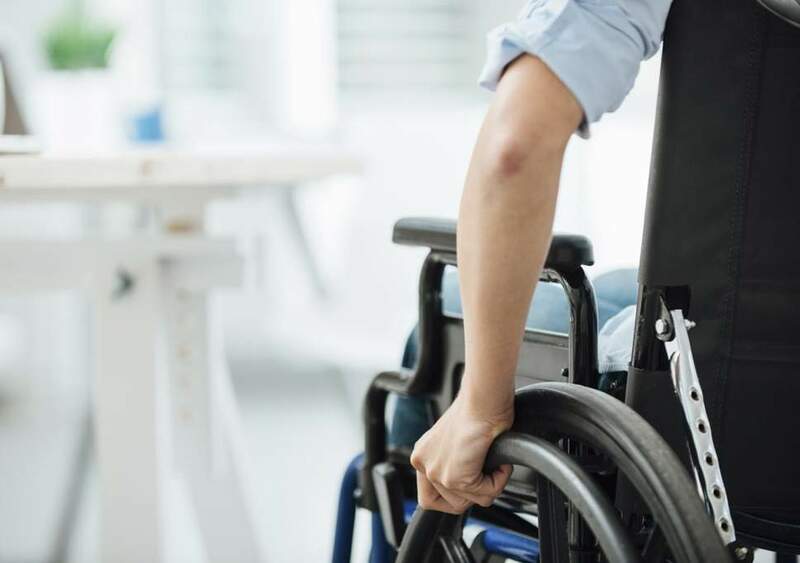 Last month the government took away his Disability Living Allowance (DLA) through a combination of bureaucratic incompetence and obvious government policy. Letters were sent to his former addresses and subsequently were never answered. Eventually we received a letter, written in May, forwarded from an address which he left four years ago, reporting that his DLA, amounting to about £500 per month, had been suspended. The letter invited him to apply for the new Personal Independence Payment (PIP). This will involve a complicated application process and an assessment, all of which he would be personally unable to participate in. The point here is that the Department for Work and Pensions (DWP) has been paying the DLA, by standing order, month by month, for 25 years. One must ask why they did not ask for an update on his address, and go further by sending a letter of enquiry through the bank. The local Social Services knows all about him, as does the health authority. It is the height of slovenly bureaucracy for them not to know where he lives. I, as his father, and with full power of attorney, replied immediately. I eventually received the latest letter, having sent my response to Bootle, which purported to be the address from which the letter had come. I set out every circumstance and number that they were asking for in their correspondence. There was no reply. Instead, a week later, the second letter was sent once more to the wrong address. This time the beasts went further and removed the DLA permanently. Furthermore, the letter contained clear threats that if an application was not made for the PIP my son would lose other benefits, possibly including housing benefit. Far from being of dubious legality, the whole thing smacks of the most disgraceful prejudice. ..the country that we fought two wars to protect and support has always had a tradition of caring for its disabled. Not anymore. Perhaps the most disgusting aspect of this was the oily soft and polite tone of the letters. They were obviously professionally written, stock replies distributed as pro forma, containing only useless information. The whole point is that this government has declared war on the poorest and weakest members of the public, including the disabled, who incidentally, all do have a vote. The spurious argument put forward by our government is that the system has been abused by dishonest claimants exaggerating their circumstances. In fact, this is an urban myth and all serious investigations into the dishonest welfare payments to the disabled have shown that only somewhere between 3% and 7% of claims are fraudulent. And, the courts have consistently been lenient to miscreants. The idea, it seems, is that there is virtue in a society that drives those of low capability into work, most of which is poorly paid and extremely mundane. This approach is believed to be better than providing a reasonable standard of living to those who are less able than the rest of us, so that they can have fulfilled and useful lives without the need to earn pennies. In all this we are put to shame by our European neighbours, who we so cavalierly choose to leave next year. I have been an interested participant and observer of the disabled part of the charity world for 35 years. I can categorically say that all countries, without exception, treat their disabled better than we do; either by providing homes and support, or even subsidising families to look after their own disabled. I have seen, in recent years, facilities built in Germany, Holland, Sweden, and Spain, all aimed at looking after the disabled, who are provided with stipends sufficient for all necessities. There has been no attempt by other countries to reduce the amount spent on supporting the disabled. Perhaps this has to do with the strength of local government and the weakness of National politics movements in those countries. Great Britain alone set out on this appalling, uncharitable and, dare I say, unchristian policy of removing support from the disabled fourteen years ago… This puts a greater burden on the families of those concerned, on the charities, and on local government. It is not the kind of country that we have lived in for the last century and a half. Since the demise of the Poor Laws, the country that we fought two wars to protect and support has always had a tradition of caring for its disabled. Not anymore. What is happening to my family is almost out of a Kafka play. The letters we received are written sympathetically and in clear English. Unfortunately, they contain nothing that one can use. In one letter there are no less than 10 telephone numbers, none of which are either operational or answering. There is a website that is completely unintelligible and cannot be used because it refers to the very same phone numbers which are shown in the letters. My experience, already, is that writing to these people is of no use, either because they simply do not answer, or are instructed not to. I have clear evidence from the daughter of a friend, who had left the DWP, of training seminars instructing staff to be obstructive, disagreeable, and to never offer benefits to those not knowing about them. Perhaps the meanest part of the whole policy is the threat to remove other benefits if the claimant does not apply for this ghastly PIP. I make no bones about it: PIP is a substantial reduction on DLA. I do not say that my son lives in the lap of luxury on the money provided by the government. The total for all his needs and support, including 24-hour attendance by care workers, comes to £45,000. This is substantially less than it costs to keep somebody in jail. We have the highest proportionate jail population in Europe. Clearly it is a preference to put people in jail rather than to care for those who cannot work because of their disabilities – £45,000 against £84,000. As a country purporting to be moral, we should be ashamed of such a policy, and ashamed of voting for any party which removes what are, in fact, the very modest costs of supporting the 200,000 seriously disabled in the country. I believe that nobody should vote for any person in public office that seeks to reduce the money we spend on the care of the disabled, the poor, and the needy. Over the years we have spent a huge amount of money making our public and private buildings accessible to those in wheelchairs. This has been an amazing policy and does, in fact, reflect the way the public feels. Then there are the Paralympics which encourage us to be proud of the successful disabled. But just a few enquiries of even the most successful disabled and they will tell you of institutional meanness throughout the Treasury, the DWP, and the rest of Whitehall, fuelled by a deplorable number of MPs, both Ministers, and back benchers. But this is the same government that spends huge amounts of money building aircraft carriers with no aeroplanes; to prepare to fight enemies that don’t exist; in wars which will never take place. I believe that nobody should vote for any person in public office that seeks to reduce the money we spend on the care of the disabled, the poor, and the needy. The country that produced and read Dickens account of the way we used to treat people two centuries ago, and which had apparently set its mind against such behaviour, is returning to those conditions. To remove the financial support from the deserving poor is the most appalling and unchristian political act that I have seen in my life.